Yes, I’ve returned from this ancient city that gave us democracy, a lot of statues and nightmarish traffic. Athens was a week of seeing and experiencing the city, but also good friends, good times, good food and a lot of laughter. What you notice soon, when visiting Athens, is that the traffic is a nightmare. Not that it’s stuck or slow, it just is totally random. People try to get ahead, slip in between, pass another by and so on in a total random fashion with a certain disregard for life. Usually, this is done while holding a phone or helmet on the arm. Beware of the pizza drivers and the souvlaki delivery guys, they are even more dangerous. 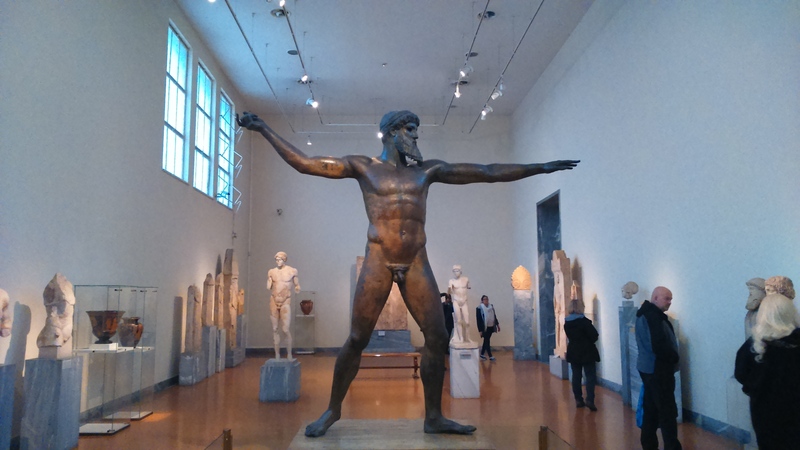 Greece has a lot of old stuff, statues, buildings and such. They take pretty good care of it nowadays and a lot is behind fences or under lock and key in the museums. Some items are weirdly accesible though, like old statues and vases in the archeology museum. You almost feel tempted to touch stuff, like on the Akropolis. The collections are vast and you will see pieces of art that you probably saw on the cover of a book on ancient history before. The halls may look minimal and in some ways not doing justice to the importance of its contents. In a way that gives the works exactly the attention they need: it is placed at the very centre. 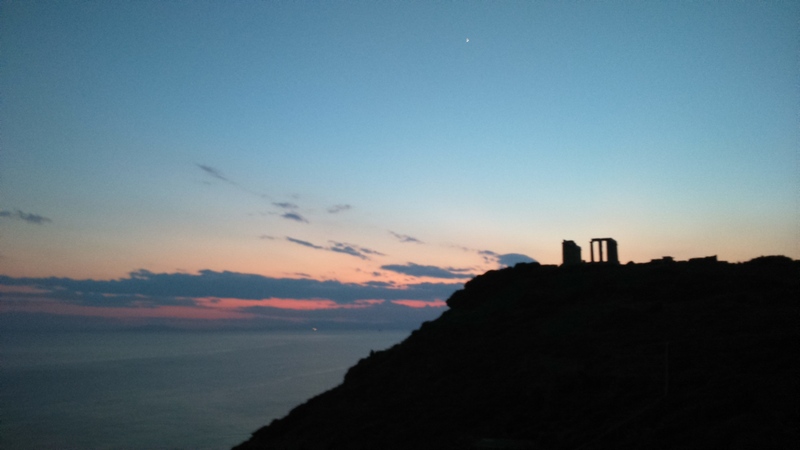 Quite a drive outside of Athens, you’ll find the temple of Poseidon in Sounia. A much more romantic and less visited spot for those who dare to venture there. You follow a road by the sea side for kilometres, facing some moronic traffic to reach this spot. It’s location on a cliff top makes for great sunsets that bring back a feeling of a forgotten past. The city itself is not so filled with ancient history and what is there is carefully preserved. The town itself feels modern and mediterranean. For those willing to see it or learn about it, it is clear that the city tells its own tale of its recent histories. It’s protests all the way back to the Junta government and the conflicts with Turkey or even the independence. The city is strewn with coffee shops and places where you can buy some souvlaki or other quick meals. Greeks like to eat and they like to get some take-away, particularly on football days. Roads in Athens are not always of the greatest quality and when it rains, you better put on some rainboots. When the sun shines, that matters little though. 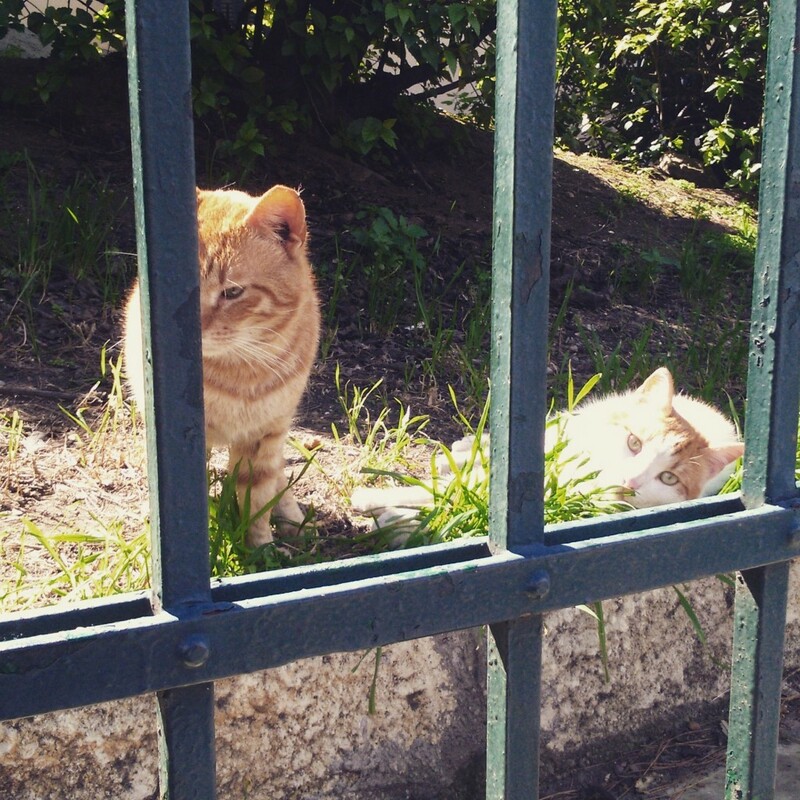 If you like cats, you’ll enjoy the city even more, because there are cats everywhere! Also pigeons, which are less loved. The most important thing is the warmth and hospitality I experienced. I stayed with my friend K. who took great care of me during this week. Everyone has been remarkably friendly and that is definitely something that deserves some pointing out. 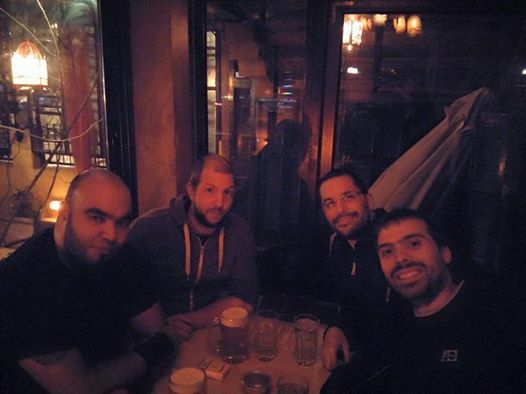 It was great to hang out with old friends and in a way, finally meet up in this great city, sharing drinks and stories. I hope this won’t be the last time. “The Angels Of Death”, Grombidal, Tyrus, Lovensand and Azdrubael. What we see in the media is angry protests, Golden Dawn radicalists and an unwilling government. That is not a story that just started, it is part of how modern Greece formed and shaped and grew in the last century. Protests have always taken place, for weeks sometimes. Golden Dawn is actually a marginal group that I have not seen a single sign of. Greece is a country with a heavy historic heritage, but a traumatic recent past. To understand that, visiting this country is a must.